IBM, a world leader in information technology and cybersecurity, is expanding its operations in New Brunswick, creating 100 new full-time jobs in the security division located in Fredericton over the next three years. Gallant said New Brunswick is poised to leverage a strong foundation in information security and lead in this essential national priority. The province is already home to a natural cybersecurity cluster that dates back 25 years with the advancement of the broadband networks and establishment of Canada’s first faculty of computer science in Canada at the University of New Brunswick (UNB) in 1989. In 2011, IBM acquired Q1 Labs, whose QRadar Security Intelligence Platform was developed in partnership with UNB. Many may not know that UNB was the birthplace of a cybersecurity technology called QRadar, which today is an integral part of IBM’s global cybersecurity offerings. In the late 1990s, UNB IT staff and students realized a need for better tools to understand and manage an increasingly complex IT environment. The acquisition served as a catalyst for IBM to form its security division, today a $2-billion business employing 7,500 researchers, developers and security experts in 36 locations worldwide. “We are extremely proud of the relationship we have with IBM and McCain’s and look forward to a bright future of innovation and collaboration,” said Dr. Eddy Campbell, president and vice-chancellor of UNB. 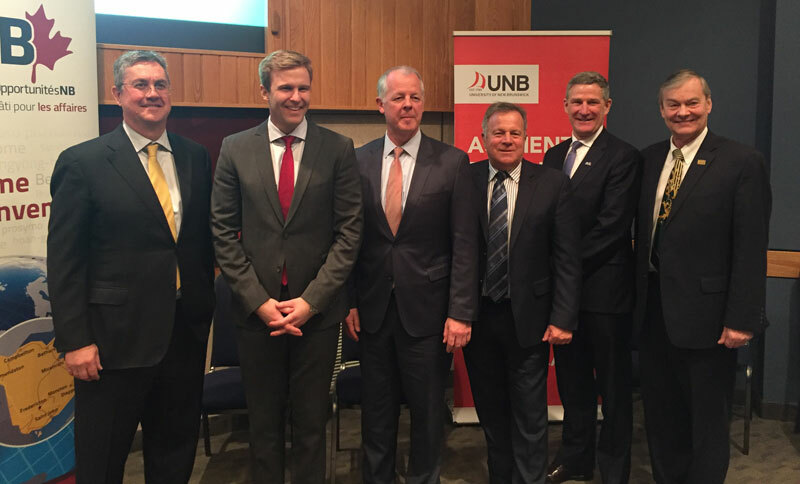 “I truly believe UNB is well-poised to help this province grow, and we’re committed to being an integral part of the innovation agenda in New Brunswick." IBM maintains a research development and customer support centre in Fredericton. It provides support for more than 5,000 customers around the globe. The IBM Security QRadar analyzes data across an organization’s information technology infrastructure to identify potential security threats. It also serves as the “brains” of IBM’s 10 security operation centres around the globe. The technology is primarily designed, built, tested and supported out of New Brunswick and UNB.